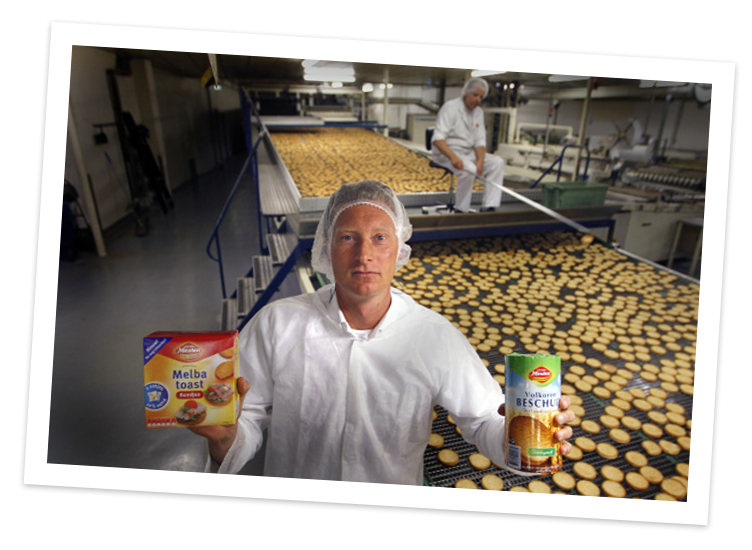 For four generations the Frisian bakers family Van der Meulen has devoted itself to achieving one goal: making the best bakery products, made with love for the trade. 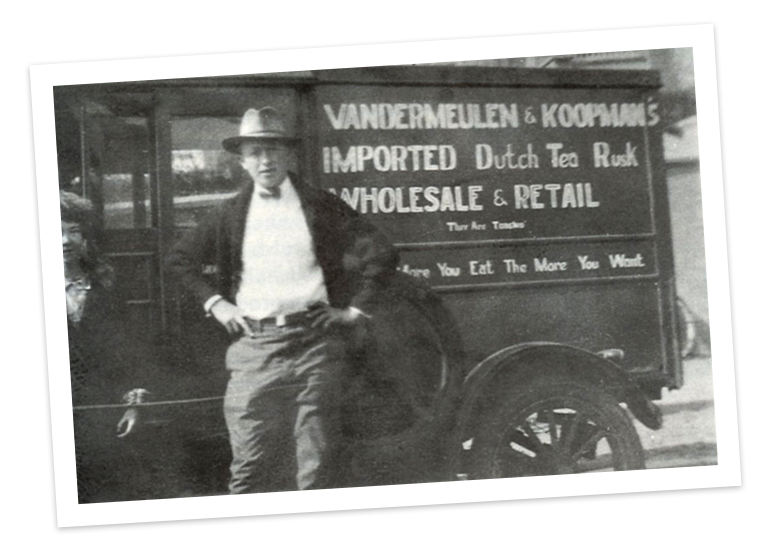 It was a beautiful day in 1910, when Hessel van der Meulen woke up with a great idea: he was going to open a rusk bakery. He could have never imagined not only his hometown Ferwerd, but the whole world becoming huge fans of Van der Meulen rusk. Our masterbakers rise early every day to provide everyone in the country with the best bakery products – if we may say so ourselves. They don’t mind getting up early, on the contrary: they love to share their passion for baking with the world! 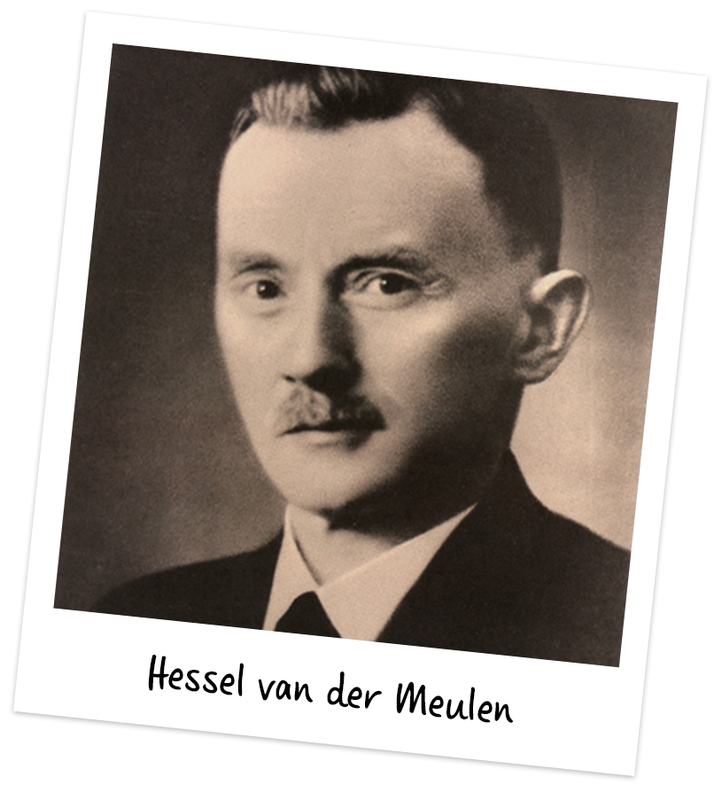 It was a beautiful day in 1910, when Hessel van der Meulen woke up with a great idea: he was going to open a rusk bakery. He could have never imagined not only his hometown Ferwerd, but the whole of the Netherlands becoming huge fans of Van der Meulen rusk. 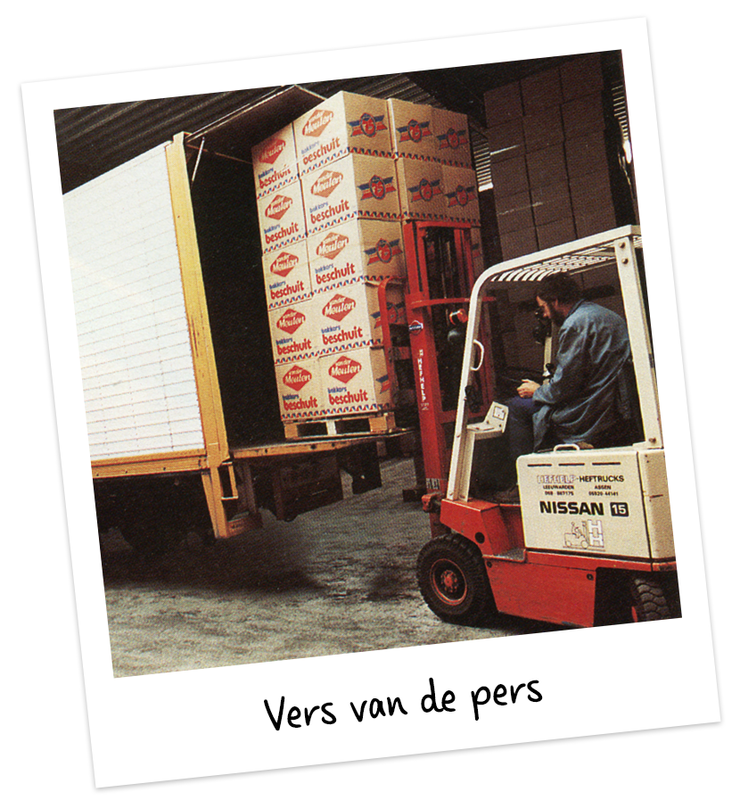 In 1910 Hessel van der Meulen decides to turn his hobby into a career. He opens a little rusk bakery in Ferwerd, a small town in Friesland. The quality of his work does not go unnoticed: everybody in the North of the Netherlands suddenly seems to start their day with rusk from Van der Meulen. To keep up with demand he opens a bakery designed to produce only rusk: he calls it ‘De Volharding’ or ‘Perseverance’. When Hessel van der Meulen junior takes over the bakery in 1964, he immediately changes course. His efforts are not fruitless: the bakery is thriving. 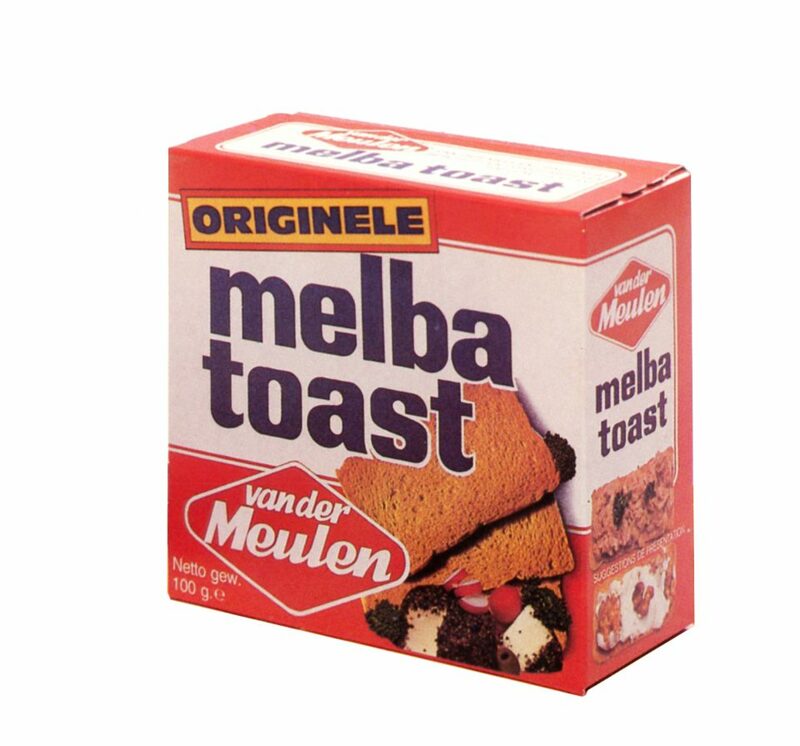 At the beginning of the seventies Melba Toast is introduced and the export to England takes off. Because of the ever-rising popularity of Melba Toast, the factory needs to expand considerably in the eighties. With the acquisition of the rye bread bakery in Broeksterwoude, rye bread is added to the Van der Meulen-family. And Hessel Jr. does not stop there: “We visit bakeries every fourteen days. You cannot visit so frequently with just rusk in your order book.” Van der Meulen biscuit and crispbread are a fact. In the early nineties our current general manager takes over presidency. Johannes van der Meulen is going to do things completely different. Or actually, exactly the same as back in the day. Back to basics: the production of rusk, rye bread and Melba toast. And the world agrees with Johannes, because under his wings Van der Meulen grows into an international company with forty export countries and approximately hundred-and-twenty employees. Not bad, right? Our rich history has produced some beautiful products. Have to see it to believe it?